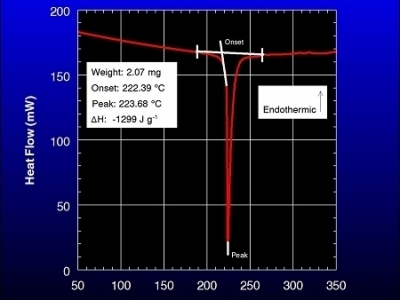 The DSC is operable from -40 to 750 °C. 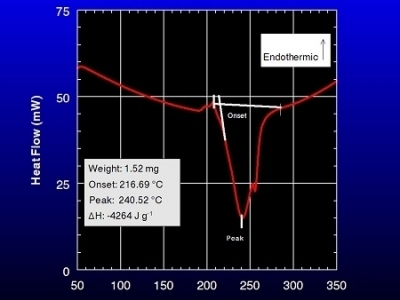 It provides rapid thermodynamic and kinetic data for various materials and reactions. 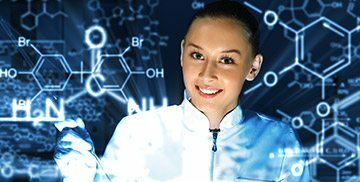 Data may be collected under inert or reactive atmospheres. 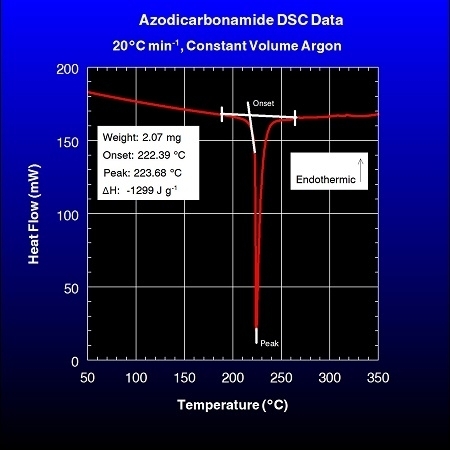 The DSC scan shows the exotherm for decomposition of azodicarbonamide. This molecule is useful as a foaming agent and a gas generator. 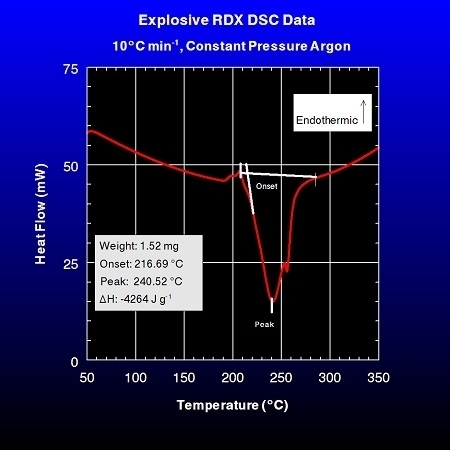 DSC is useful for monoitoring shelf-life of explosives and propellants. 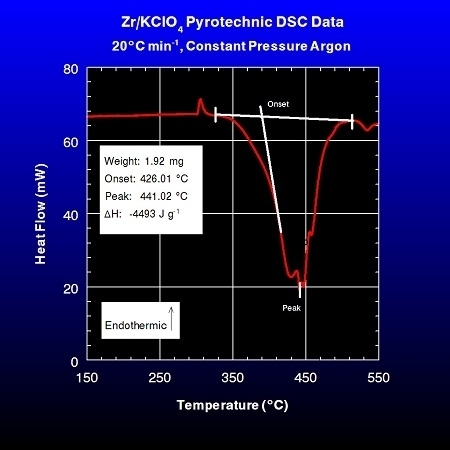 The DSC scan shows the exotherm for decomposition of 1,3,5-trinitro-1,3,5-triazocyclohexane. 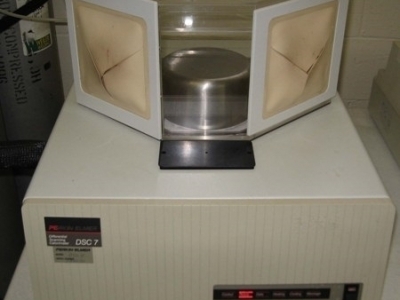 During World War II, this explosive was known as "Research Department Explosive" or RDX. 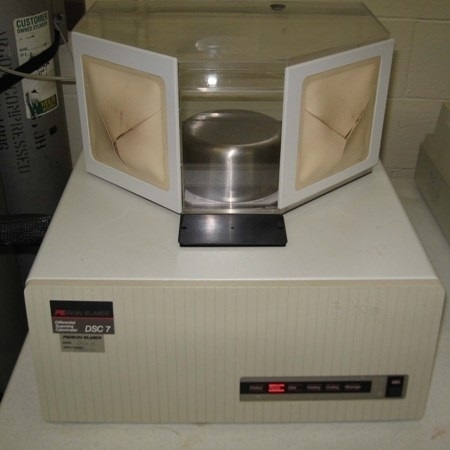 DSC is used for monoitoring shelf-life of pyrotechnics. 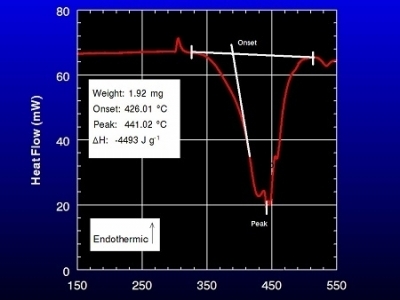 The graph shows a small endotherm associated with the polymorphic transition of potassium perchlorate followed by an exotherm associated with ignition of the zirconium potassium perchlorate blend. This pyrotechnic is used in the manufacture of ignitors.